Microsoft started rolling out its latest Windows 10 Fall Creators Update just a little over a week ago. The latest Windows 10 version brings a number of interesting features, including OneDrive Files On-Demand, My People, Power Throttling, and tons of other features (highlights available here). 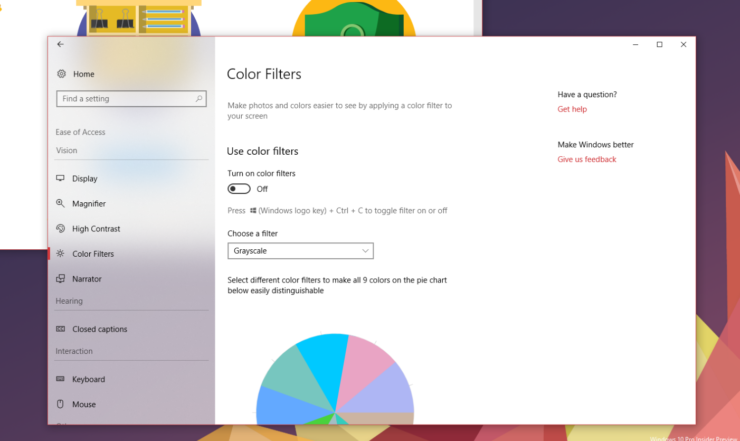 The latest operating system version had also promised to introduce Fluent Design System additions with highlight and acrylic effects. While some did show up, it appears that Microsoft may have pushed more noticeable Fluent Design changes for the upcoming, Windows 10 Redstone 4. The company has been testing Windows 10 Redstone 4 for quite a few weeks now, even before the Windows 10 Fall Creators Update was finalized. With the Fall Creators Update out in the world, it is now completely focused on the development of Windows 10 Redstone 4 due to be released in March, next year. Screenshots shared by Windows enthusiast Rafael Rivera (via MSPU) reveal that the company will finally bring its much-awaited Fluent Design System to more parts of Windows 10 with Redstone 4. Microsoft will bring Fluent Design’s Acrylic to the taskbar, but it is also working on making Windows Settings more refined, currently testing a slightly improved user interface for the app. The UI in the above screenshot looks more polished, bringing the Acrylic effect to the sidebar that already features the Reveal highlight effect in Windows 10 Fall Creators Update. While we have been hearing a lot about the Fluent Design System since the last year, the company is yet to properly implement it, with a couple of small changes being introduced with the Fall Creators Update. With Fall Creators Update out, Microsoft enthusiasts now hope that the company might introduce bigger changes with the Redstone 4. However, it is more likely that Microsoft will continue to evolve Windows 10’s design language slowly rather than radically changing everything at the same time. We are keeping our eyes on the Redstone 4 Insider Preview builds, hoping to see some exciting features and visual changes coming very soon. Don’t forget to share if you are testing Redstone 4 builds and have found something exciting.